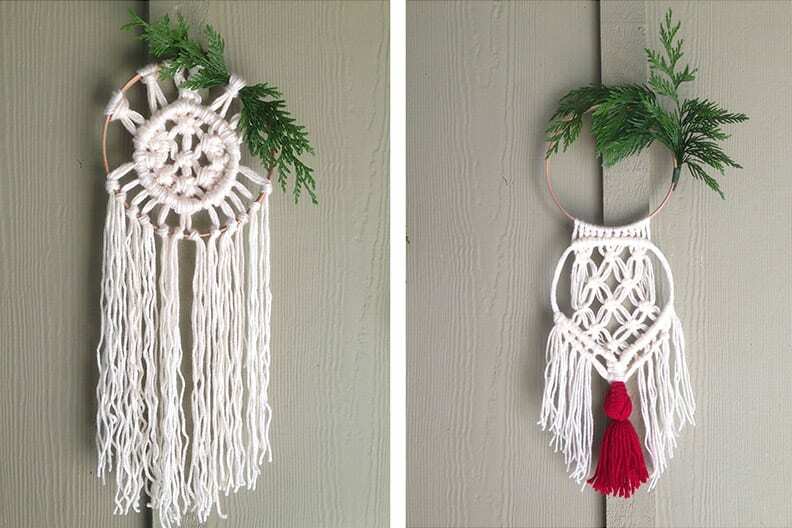 Macrame is back and bigger than ever! Learn to artfully tie knots to produce this lovely, holiday wreath. Working with recycled yarn, you’ll design and produce a piece sure to brighten your home. The examples shown here are done with just two basic knots. You won’t believe how easy it is! Impact: Ragfinery yarn is upcycled to create an accent piece to be used for years to come. Requirements: Yarn will be provided. Please bring a sturdy hoop (an embroidery hoop will work well), dowel or driftwood, scissors, and any special yarn you may wish to use (one full skein of thick yarn is recommended). About the Instructor: Amanda is a fiber artist, designer and instructor. She had a decade long career in hospitality as an event planner, but left it all behind in 2015 to move to Indonesia with her husband. 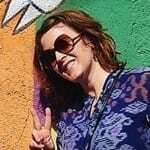 Since returning to Washington in 2017, Amanda has focused on freelance art and teaching. She lives on Camano Island with her husband and their pug mix, Blanche. You can view her work at amandamclaurin.com and @amanda_mclaurin_ on Instagram.